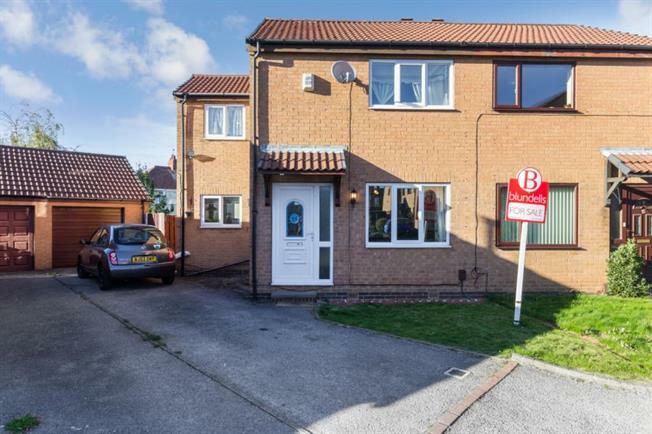 Blundells are pleased to offer for sale this extended three double bedroom semi detached house situated on a quite cul-de-sac location in the Sheffield Lane Top area. The property is ideal for first time buyers and those also looking to upsize in the area to something bigger. The accommodation is set across two floors with a generous lounge and large open plan dining kitchen on the ground floor with three similar sized double bedrooms and a family bathroom upstairs. To the front is a small lawned garden with a generous drive leading to the detached garage. To the rear is a larger than expected back garden which has a decked area and a good sized lawn area giving good space for kids to play in a secure space. Located in Sheffield Lane Top you have access to a number of local amenities such as local shops, supermarkets, schools and doctors. The area is also well serviced with a number of local buses running through the area giving good access to the City Centre and surrounding suburbs.